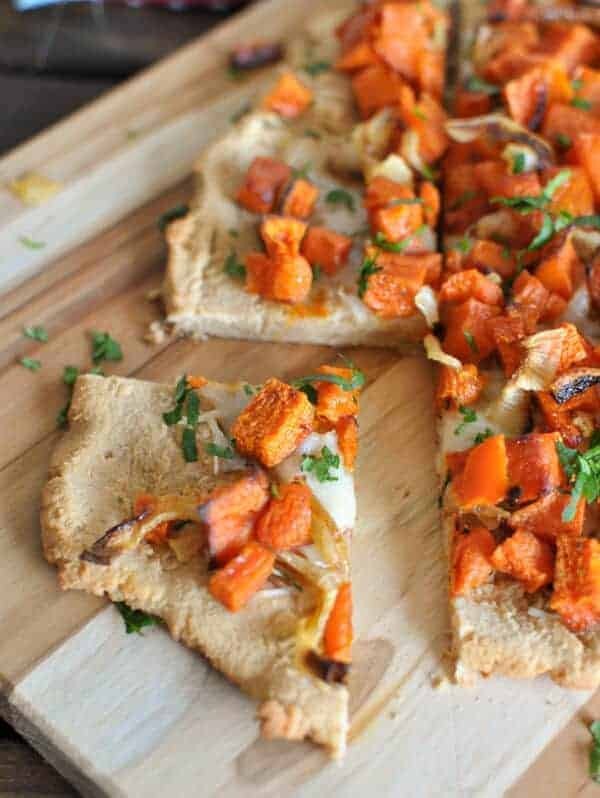 This Paleo flatbread recipe is incredibly versatile. You can eat it plain, or topped with all sorts of things, depending on your tastes, the season and your diet. You’ll wonder what you ever ate without it. Here in Utah, we are welcoming in January with the all too familiar inversion. For those of you that don’t know what inversion is, consider yourself lucky. It’s the type of air/weather that makes you want to hide away indoors and dream about clear skies, sunshine, and being able to see your shadow again. It’s basically dirty air that gets trapped down in the valley between the mountains. It’s ugly and not fun to breathe. I’m pretty sure it’s my least favorite part about living in Utah. About the only way to escape it is to get out of the valley by going up to the mountains and go skiing, which our family doesn’t do, or go on a trip, which is hard to do with snowy roads and children in school, so mostly I stay home and make comfort foods to drown my inversion woes. My latest comfort food healthy makeover is this Paleo flatbread recipe topped with roasted butternut squash, and it is GOOOOOD! Really it is! It’s the type of comfort food that you order at a restaurant, and wish you had an endless supply to eat at home because it tastes so good and seems super complicated to make. (I honestly just had some at a restaurant, and wanted to order 10 more to take home – I didn’t, but I wanted too). For one thing, it has dairy on it and I really try not to eat dairy, but sometimes I just can’t resist any longer and just need a little to satisfy the need or I’ll go crazy and eat way, way too much. I know not all of you have that luxury, so it’s perfectly fine to leave the cheese off or try one of the other Paleo toppings I have listed on the recipe. They are all good. Plus, I’m sure you can think of several other variations to try to customize this and make it just how you like it. So, back to the restaurant. Instead of spending all my money and buying non-Paleo versions to take home and increasing my waistline, I decided to come home and make my own healthy version. And guess what? It isn’t super complicated. It is actually pretty simple, and just as delicious as the restaurant version. My version is made with high-fiber coconut flour, making this a gluten-free, grain-free, and Paleo-friendly dish (as long as you leave off the cheese). 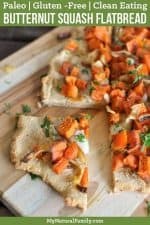 I would love to know if you make my version of this Paleo flatbread recipe or if you come up with your own version and what you think of the recipe. Please comment below! 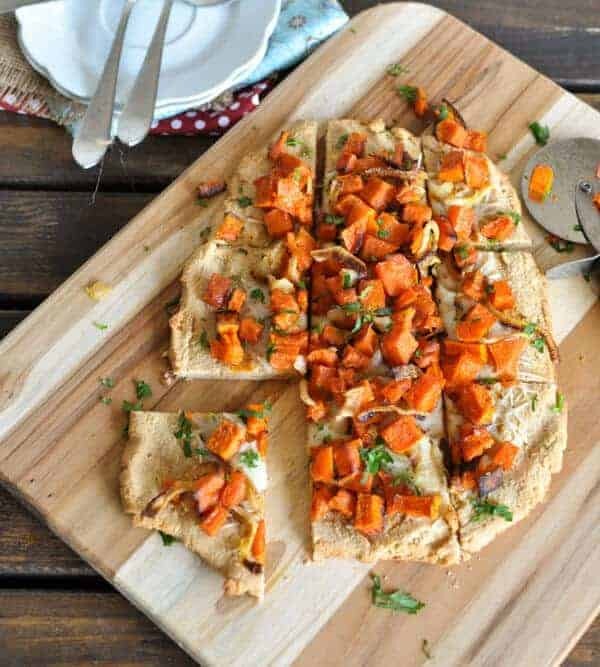 This Paleo flatbread recipe is a versatile, healthy and grain-free makeover of one of your favorite comfort foods. 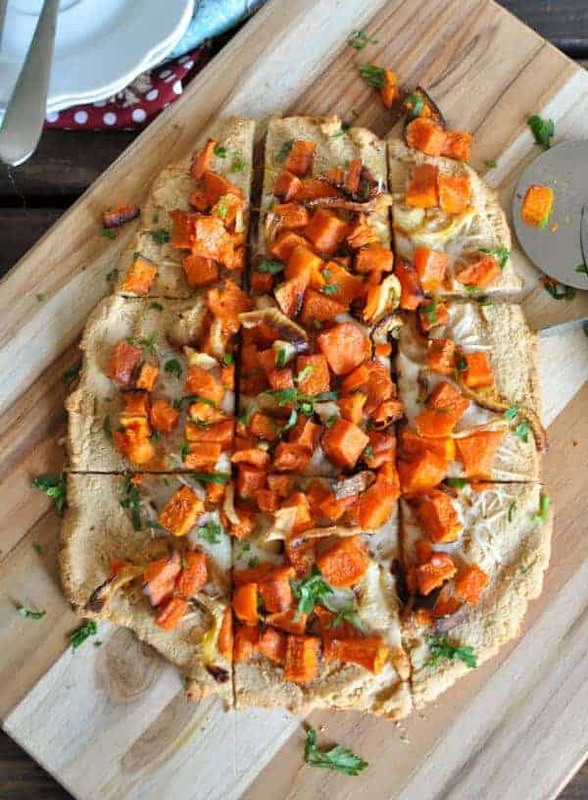 The nutrition facts were calculated for just the flatbread. You would need to calculate any toppings yourself. So good to hear. Thanks for commenting! What an interesting idea! I’m going to try this real soon.